Accurate and reliable calibrations are necessary to ensure accurate measurement of implements, and working with the right calibration company is crucial for ensuring consistent processes and services. With a better knowledge of fluid property and volume calibration, you’ll know exactly what to look for when choosing a calibration company who can help you improve safety for your customers and employees. Fluid property is a measurement used to determine the temperature, density, and/or viscosity of liquids or gases. Sensors are used to measure fluid property, but can also detect condition, quality, and contamination, ensuring that fluid remains safe for handling or machinery. Fluid property calculators are utilized to conduct these measurements. 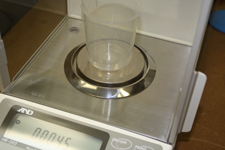 Volume calibration ensures consistent and accurate measurements of liquid. Implementing appropriate volume calibration equipment improves the safety of products and those handling potentially hazardous fluids, while volume calibration methods work to ensure liquid volumes in containers are accurate or that valve flow is measured correctly regarding temperature, speed, and flow. Volume calibration services are available for glassware, metal containers, liquid flow meters, and turbine meters. Inconsistencies in fluid property can affect the calibration of valve flow, while inaccurate volume calibration leads to outcome errors. When measurement errors occur, the fluid property calculator and volume calibration equipment must be recalibrated. Fluid property and volume calibration equipment is used to ensure precision in many industries that require close monitoring of fluid flow. Precise fluid measurements are essential to safe handling of liquids where hazardous liquids are in use, and proper calibration delivered by volume calibration equipment and fluid property calculators is crucial to maintaining high levels of accuracy and consistency. Accurate fluid volumes are also crucial to titration in any type of chemical analysis. In manufacturing, volume calibration equipment aids manufacturers in maintaining product consistency, since product quality is dependent on accurate fluid property calculators and volume calibration methods. Accuracy of these methods ensures finished products meet required industry specifications so that the product is safe for use and performs as intended. In consumables – such as medications or beverages – measuring fluid viscosity and consistency is critical for preventing choking hazards and contamination by hazardous materials. In the oil and gas industry, these methods are used to ensure product quality and performance for the consumer. Volume calibration is also of importance when measuring liquid product volume for trade-in or import. Tank calibration ensures accurate product measurement to reduce errors and minimize associated costs. Working with a reliable calibration company improves your company’s bottom line while maximizing return on investment. When volume measures are accurate, waste and overuse of materials is kept to a minimum, resulting in materials and cost savings. Investing in quality volume calibration services maximizes return due to the generated savings. With volume calibration equipment methods handled effectively, time and focus can be allotted to attend to core competencies. Working with a reliable volume calibration company allows business owners to dedicate resources to other areas of concern and make improvements. Garber Metrology maintains a broad scope of accreditation, offering ISO/IEC 17025-certified full-volume calibration services. With in-house and on-site services available, we are dedicated to meeting your needs. Contact us today and learn how our volume calibration equipment and services can improve accuracy and product quality for your operation.